If you own Sony Xperia L, please do leave your feedback too. 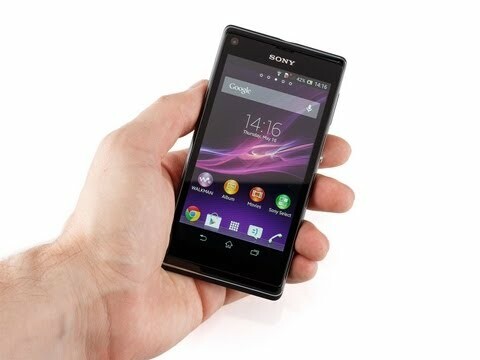 The Sony XPERIA L is a mid-range handset from the Japanese phone maker. It has a comfortably-sized 4.3-inch "scratch-resistant" display bearing an 854 x 480 pixel resolution. There's a dual-core 1GHz Krait-based Snapdragon processor inside with a reasonable 1GB of RAM. Out of the 8GB internal memory, 5.8GB is allocated to the user, other than the microSD card slot. It can pull 3G internet at speeds of 21 Mbps, and has Bluetooth 4.0 and NFC support as well. An 8 megapixel camera at the back has features like HDR, image stabilisation, sweep panaroma etc. It also shoots 720p HD videos too. It runs the fairly recent Android 4.1 Jelly Bean. The XPERIA L is powered by a 1750 mAh battery. There's an LED light strip at the bottom of the phone that glows when a notification comes in.